Recently I wrote a blogpost about the importance of sleep and how food can be a positive stimulance for your night’s rest. Bananas and cherries are examples of foods that are high in melatonine. Melatonine is hormone that makes you feel calm, it lowers the bodytemperature and slows down the metabolic system. 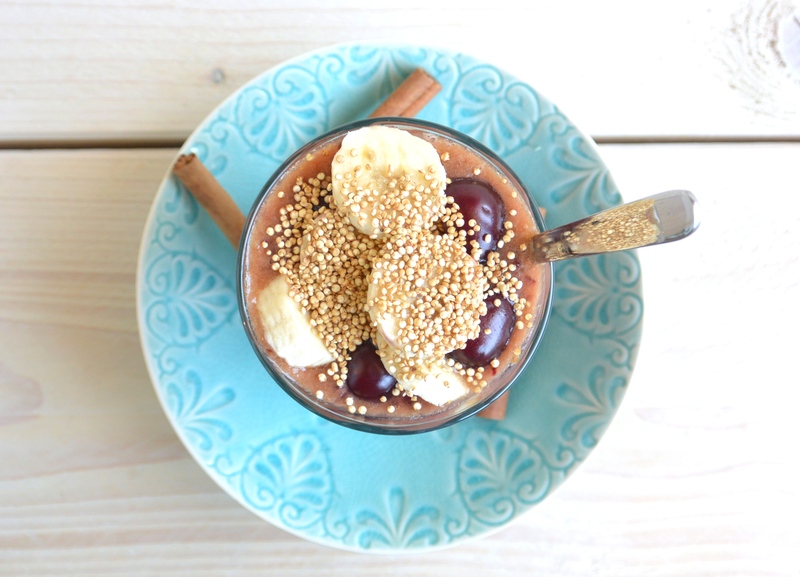 This Cherry Smoothie contains cherries, as well as bananas. Besides that it’s flavoured with staranise infused water. Staranise is known for it’s relaxing and calming effect. 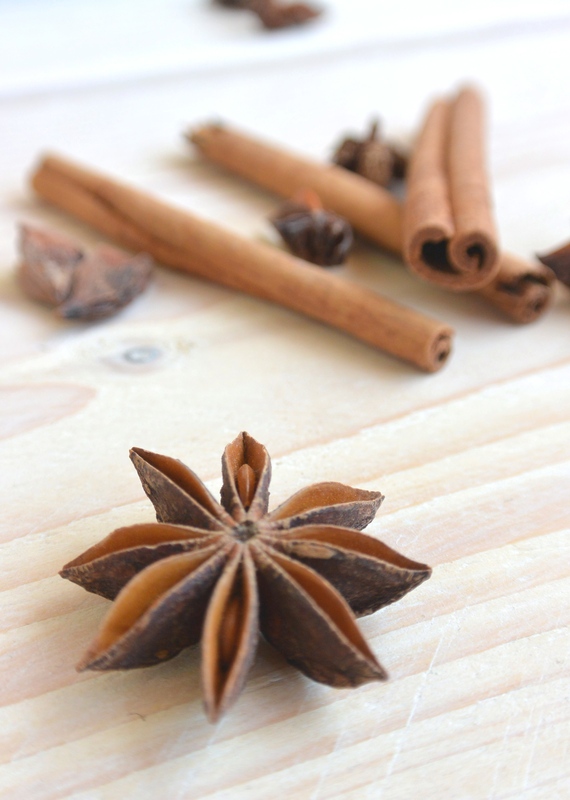 Soak the staranise in 50 ml of hot water and set aside for 5 minutes. In the meantime add the cherries (save some for garnishing in the end), banana (save a bit for garnishing the smoothie in the end as well), orange juice and cinnamon to a mixing cup. Heat a frying pan and add a spoonfull of quinoa to the pan. After a while the quinoa grains will start to pop, like popcorn! Shake the pan to prevent the quinoa from burning and remove from heat when the quinoa grains start to get a little brown. Next, add the staranise infused water to the mixing cup (remove the pieces of staranise). 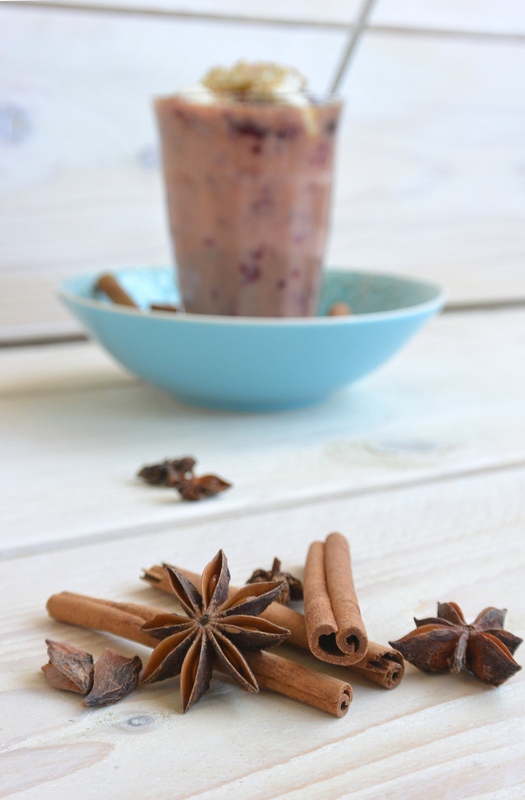 Blend together with the banana, cherries, orange juice and cinnamon into a smoothie. Add to a glass or bowl. Top it with the left-over cherries and banana and sprinkle the roasted quinoa on top. Tip: Blend a scoop of wheat germs through the smoothie to make this a healthy breakfast dish! Posted in Breakfast, Juices and smuices, recipes, VeganTagged breakfast, dairyfree, fit, food, fruit, glutenfree, glutenvrij, healthy, healthy breakfast, healthy lifestyle, healthy snack, natural, ontbijt, raw, recipe, seeds, smoothie, snack, soyfree, sugarfree, suikervrij, vegan, zuivelvrijBookmark the permalink.